The Dong Tao chicken has an imposing figure, a healthy, red body supported by stout legs with reddish scales. It is no easy job to raise Dong Tao chickens because they are very sensitive to weather changes and tend to lay fewer eggs than normal chicken. Le Quang Thang is a vanguard in developing a closed Dong Tao chicken supply chain ensuring food safety and hygiene for consumers. Known as Dong Tao chicken billionaire in Dong Tao commune, Thang told us that each month he supplies up to 2 tons of the chicken to the market. 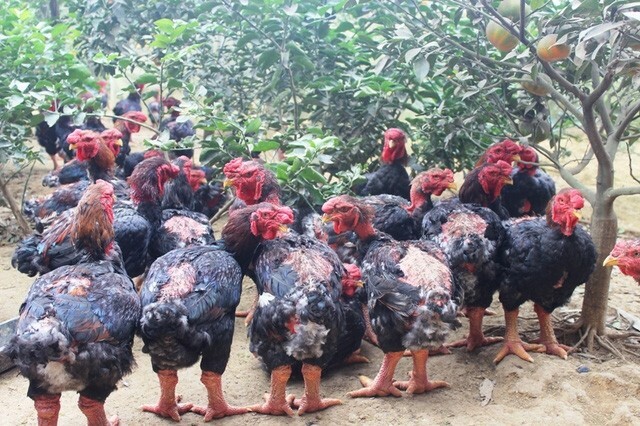 There are dozens of chicken breeds in Vietnam but Dong Tao chicken is special for its firm, crisp, sweet meat, pink brisket, and well developed thigh meat. Many delicious dishes are made from this chicken. Hanh said one of the restaurant’s signature courses is the chicken skin mixed with powdered grilled rice. The skin is shredded and mixed with pounded galangal, garlic, and various kinds of chopped herbs. 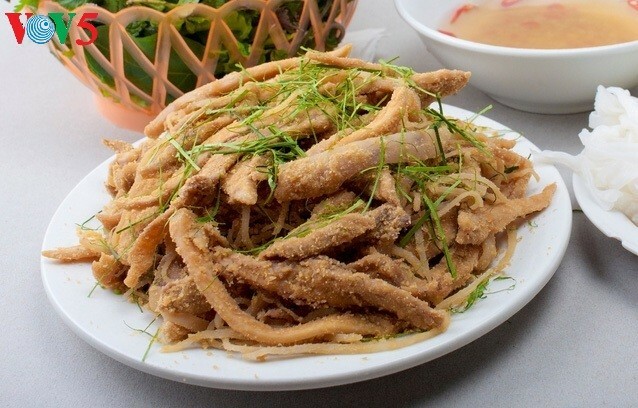 You can enjoy the dish as is, with beer, or mix it with raw vegetables and fish sauce. One Dong Tao chicken, which often weighs up to 6 kg, can be made into many unforgettable dishes. In the past, the rare breed, once reserved for royalty and ritual offerings, is now served in restaurants that cater to the wealthy. Hanh said he only wants to promote the homeland’s specialty. 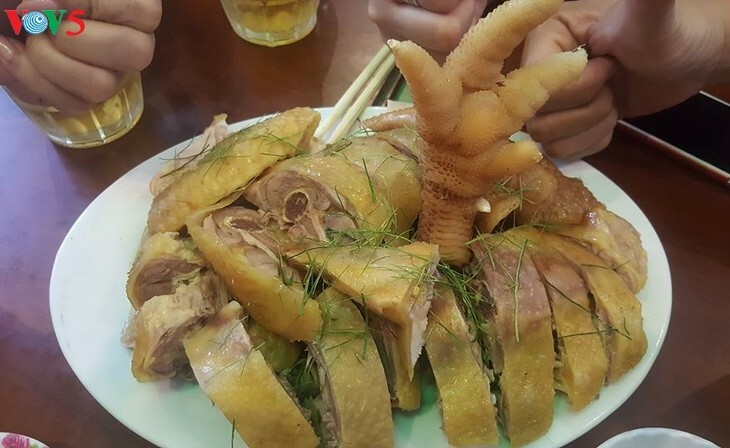 “I come from Dong Tao commune and want to introduce my hometown’s delicacy of Dong Tao big-leg chicken to more people. It is also my family’s traditional trade. We have run this restaurant for 30 years, which can ensure our life,” Hanh noted.